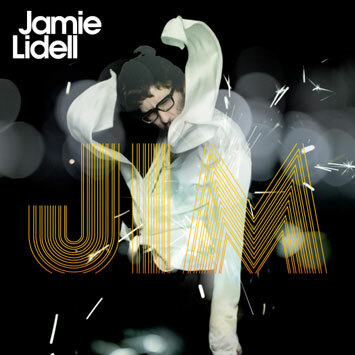 Jamie Lidell's second album, Multiply caught people off-guard in 2005. Few expected the restless sonic scientist to make an uplifting soul record, but he did; and audiences and critics were captivated by the fusion of his influences with deeply felt song writing, meticulous production skills, and most of all, that flipping amazing voice. According to the reviews, Jamie was at various times, Little Richard, Jimi, Otis, Sly, Prince, Marvin, Stevie or some mashed-up combo of them all. Meanwhile, his live show has become an infamously exhilarating experience, with Jamie performing on the edges of control and chaos, turning music inside out. And now here he comes again. Jim is ten very different songs. Jim is energy, integrity, emotion. Jim is all about the hooks. Jim is getting the sounds absolutely right. Jim is keeping things fresh. Jim is the voice. Jim is Jamie and Jamie is Jim. Recorded in Berlin, Los Angeles and Paris, Jim takes even further what was started with Multiply, finding the balance between the spontaneous creativity of his raw ideas and the careful craft and polish of a great record. Jim will switch you on in the morning, move you on the dance-floor and take you down in the small hours. It's a bold, promiscuously diverse album, mixing up gospel grooves, sweetly sung and fiercely passionate soul, delicately moving ballads, thumping early R & B, synthed-up disco, and even a touch of 'hillbilly funk'. 'I haven't tried to hide the influences,' he says 'This is the music I love.' But, listen closely and you can hear Jamie moving in new directions, creating a sound and style that is entirely his own. Décidement toujours aussi Super....Collider !